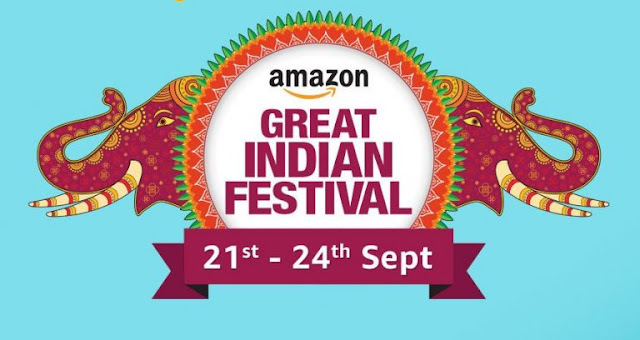 Amazon Great Indian Sale Offers 2017: The Amazon has also announced its Great Indian Festival from September 21st, a day after the Big Billion Days Sale, but it ends on the same day as Flipkart’s sale. Amazon says that it will offer over 40,000 deals with new deals every hour, over 500 offers on mobiles, over 2500 offers on Electronics, over 6000 offers on Amazon exclusive products and more. It will offer Up to 40% discount on mobile, Up to 60% discount on electronics and appliances, up to 60% discount on Amazon Basics products and more. Amazon Prime customers can enjoy deals early on September 20th from 12 noon. During the sale, it will offer 10% cash back on HDFC Debit and Credit cards, 10% cash back (up to Rs. 500) by loading amount on Amazon Pay, No cost EMI, exchange offers and more. Check out more details about the Amazon Great Indian Festival sale here. Main Mobile Brands on Offer are: OnePlus, Apple iPhone, Xiaomi Mi Mobiles, Samsung Mobiles, Lenovo, Motorola Moto Mobiles, Huawei Honor, LG Mobiles etc.